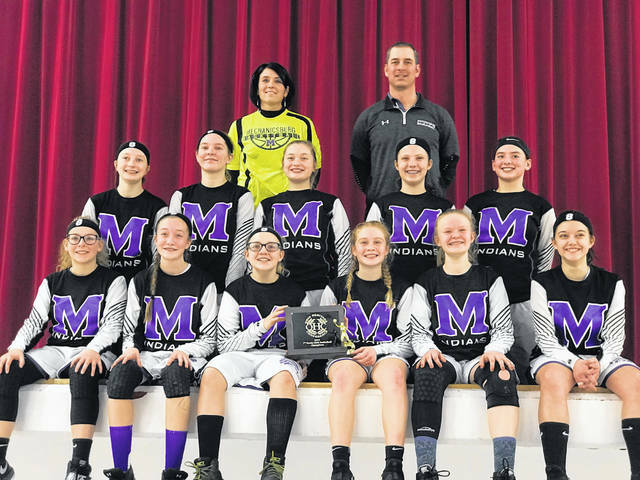 The 8th grade Mechanicsburg girls basketball team became champions Feb. 9, beating the Fairbanks Panthers 33-30 in the OHC north title game. The Indians finished the season 18-1. Taylor Rausch led the way with 8 points. Alana Kramer scored 7. A. Fraley and A. Hursey each scored 6 points. 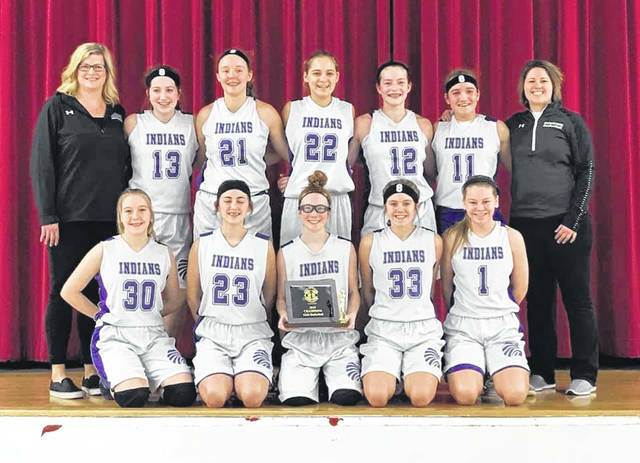 The Mechanicsburg Lady Indians’ 7th grade girls finished the season 18-0 and OHC champions. In the finals Feb 9 at Triad the Mechanicsburg girls defeated West liberty-Salem 20-15. Addie DeLong scored 10 points; Ella Forrest, 6; and Kendall Rausch, 4.